ASUS announced a new version of its ASUS Transformer 3 Pro T303 that was announced during Computex in 2016. The new ASUS Transformer Pro T304 is very similar to its earlier brother and comes with Intels newest Kaby Lake chipset. That’s the main difference between those two versions – but actually the T304 is a bit weaker in some regards compared to the older version. As you might expect, this high-end Surface Pro competitor is made completely out of metal and should have a very good build quality. It’s a bit surprising though that the new tablet is heavier than its predecessor (840 gram compared to 790 gram) and also a bit thicker (8.85 millimeter compared to 8.35 millimeter). I’m not sure why that is – hopefully we’ll get some answers soon. It has many of the important features we’re looking for in a windows 2-in-1. On the back there’s a kickstand, you can connect it to a keyboard cover and use it with the ASUS Pen – an active stylus. The Transformer Pro T304 has a 12.6 inch display which is the same size like the Transformer 3 Pro. But for some reason ASUS has lowered the resolution to 2160 x 1440 pixel. The first generation was shipped with very high 2880 x 1800 pixel – a nice 3K display. We don’t see any downgrade with the internal hardware though. You’ll be able to get it with Intels newest Kaby Lake chipsets up to an Intel Core i7. There’ll be versions with 4GB or 8GB of RAM and SSDs than can go up from 128GB to 256GB and 512GB. Next to an USB type C port we get a USB 3.0 connector, HDMI out and a microSD card slot. 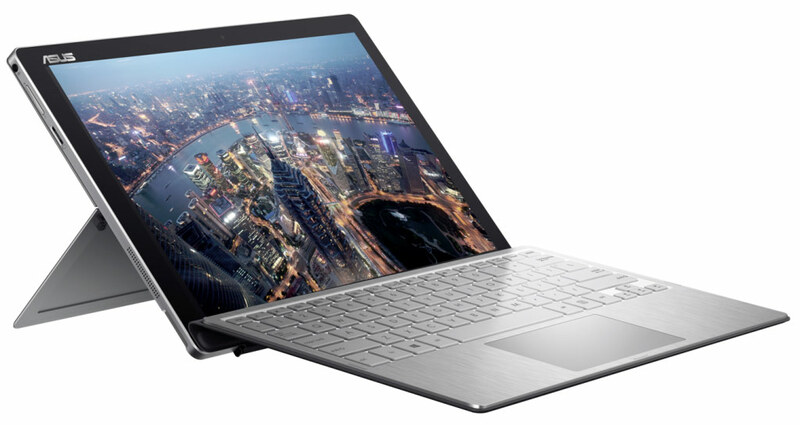 ASUS will release the Transformer Pro T304 in may starting at 999 USD – that’s the same price of the previous T303. –It’s a bit surprising though that the new tablet is heavier than its predecessor (840 gram compared to 790 gram) and also a bit thicker (8.85 millimeter compared to 8.35 millimeter). I’m not sure why that is – hopefully we’ll get some answers soon. Re: why cannot sure ?! It is due to cpu-fan problem. The new-design fan for T303 mightd be thinner, but collided with the laptop case, in turn made noise. In fact ASUS got lots of customer complaints, but still not formally announce any solution for T303. Ok, now ASUS announce T304 instead. ASUS is always with bug……shamed. Terrible, first, battery life is about 2 hours if you are lucky. Awful fan noise, blurry screen, screen text scaling is too small where you have to modify a registry file just to be able to read the text. However, this really only works with Microsoft programs. To top it off, no one at ASUS has any idea on how to fix this problem. Calling ASUS tech support is a complete waste of time as they have no technical knowledge of any of there products. Microsoft Surface has the same problem but they do have support to correct some of the screen size issues. Nothing like a laptop, uncomfortable to have the kickstand dig into your legs.